One time $69 flat fee - No other charges! The MLS ONLY Plan maybe a great place to start with GetMoreOffers if you are looking for a limited service plan without live support and are OK with being a self-represented seller. MLS Only should be considered an entry level plan that will get you into your local MLS and throughout the rest of the internet and you do have our well-earned reputation standing behind your listing. Many Realtors have shown our listings over the years or in some cases have even used our services themselves to sell their own property. Our high level of service is well-known in the real estate community, due largely in part to us offering 7 days a week service since 2005. 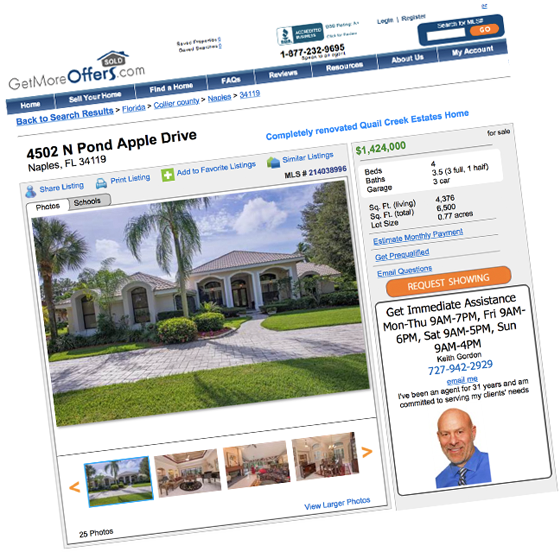 As the broker for all Florida listings and co-owner of Getmoreoffers.com, I believe it’s more important to focus on the amount of monetary risk (among other risks) you have when selling your home rather than what you stand to save by going with the cheapest version of a listing plan possible. Because in the long run, you stand to gain far more by having an expert watching out for your best interest; someone who is experienced in avoiding contract liabilities, and someone whose #1 goal is getting the best price for your sale. As an unrepresented seller, you not only open yourself to liability, but you will likely not net the same for the sale as our expert broker negotiators will get for you. In our experience, the difference in price between our flat fee programs versus our Platinum PRO program is more than covered by having a professional represent you and will typically leave you with higher proceeds. Not to mention, you can then leave all the hassles of navigating the transaction documents and disclosures as well as agent communications up to us! 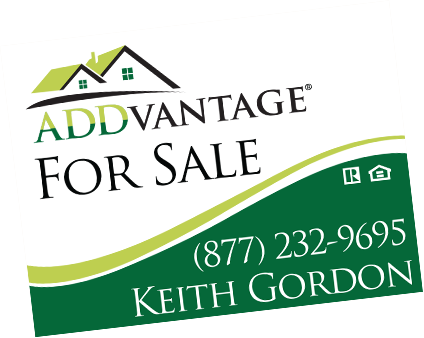 Headed by GetMoreOffers.com's cofounder and broker, Keith R. Gordon, ADDvantage® is a Florida-wide real estate company unlike any other. 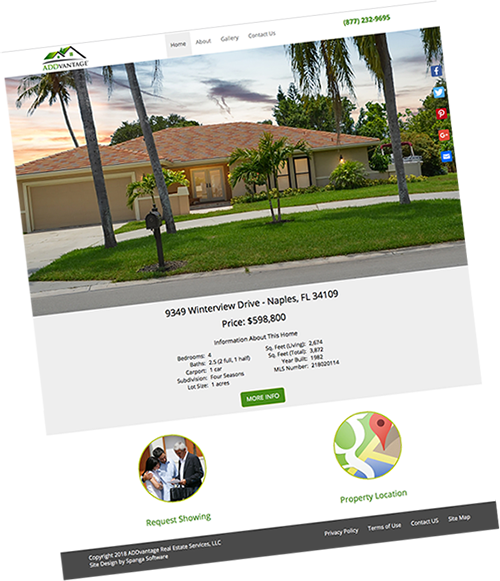 Beginning in 2005, ADDvantage pioneered the concept of flat fee MLS listing so that sellers could gain the exposure of the MLS and all of the ancillary internet marketing it brings, without the need for a full service agent. Unlike the many flat fee listing companies that have popped in and out of the scene over the last decade, ADDvantage's care is beyond that of which most receive when listed with a full service agency. They offer unrivaled customer service, maintaining their industry-leading 7 day a week live phone support. Innovators in the field of real estate, ADDvantage continues to forge new roads through software development, technology and research. 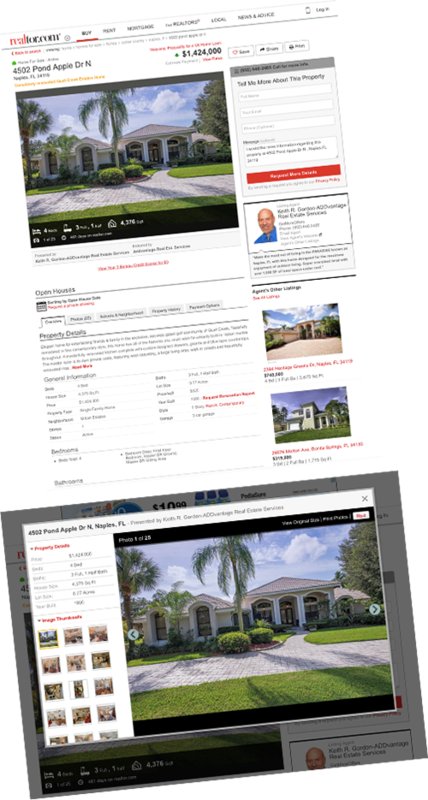 Savvy investors, Realtors and sellers alike all choose ADDvantage and their high percentage of repeat business and referrals supports the fact that they are the best, most reliable flat rate listing company in America. What exactly is the MLS? 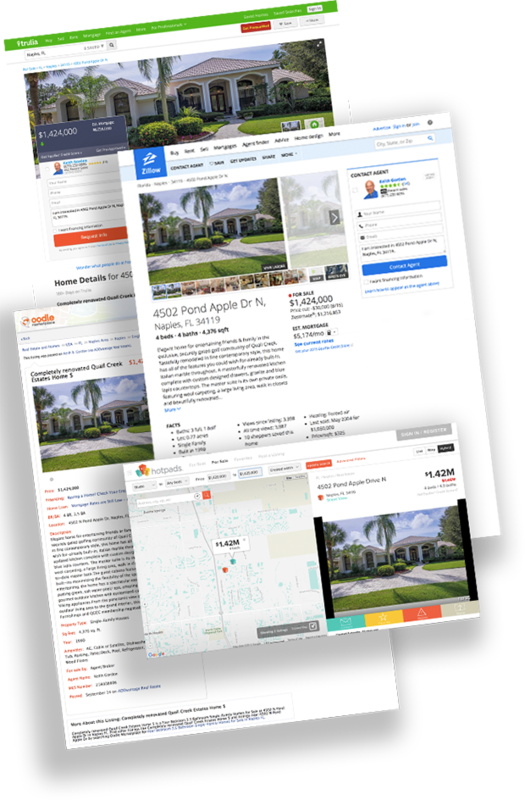 The Multiple Listing Service, or "MLS" is thought by many to be one large system that contains all homes listed in the US. This is not the case... They actually exist on a local level and there are thousands across the country. There are dozens of MLS database in Florida alone. 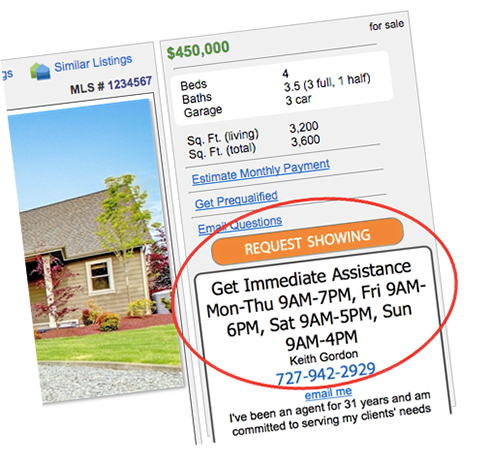 Every MLS database contains listings of area-specific Realtors and those real estate agents pay a fee for the access. 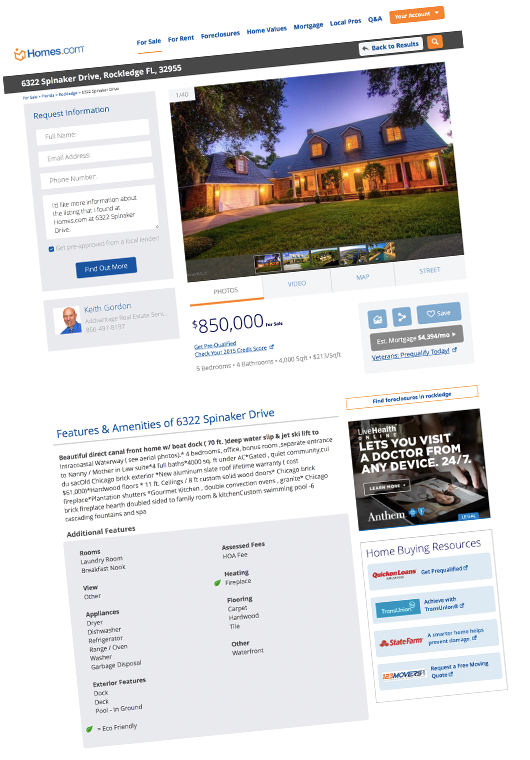 Membership to a specific Multiple List database grants agents the ability to search for MLS listings themselves as well as post their own property listings for sale. Because agents can use historical data tools to retrieve "Past Sold" amounts, they can perform CMAs (Comparative Market Analysis) from this information as well. Most Realtors belong to one or two MLS systems or Realtor Associations since it would be cost-prohibitive for most to pay dues beyond htat since the fees are rather hefty. Real Estate Agents tend to "farm" an area that they can focus on gaining expert knowledge in. Therefore, an agent in New York cannot see homes for sale in Florida and an agent in Colorado cannot see listings in North Carolina. Hence why it is critical to be listed in the correct MLS system for your city and county. FSBOs can save almost 6% for an up front fee. When you pay a flat rate to list your property, you are, in essence, eliminating the listing side of the commission. Rather than paying a traditional agent 6% that gets divided between the selling and listing agent, the listing agent side get subsituted with a small flat dollar amount. And since YOU decide the commission amount to offer in the MLS to the selling agents (otherwise known as buyer's agents), you have total control over how much you spend. 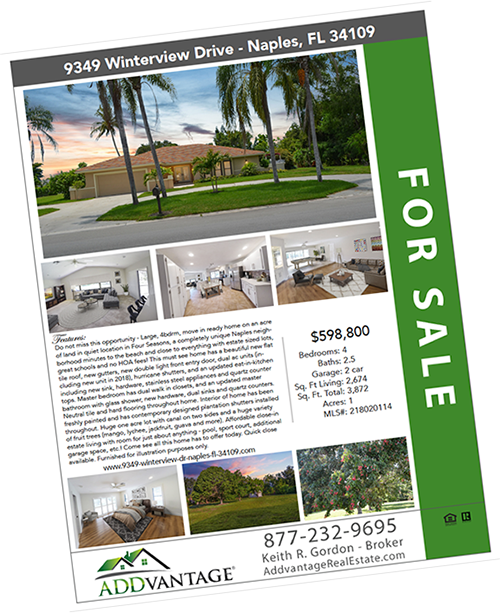 Out serllrs offer 1.5%, 2%, 2.5%, 3% commissions, and sometimes even 4%, depending on how much incentive they want to offer the Realtors to bring a buyer. 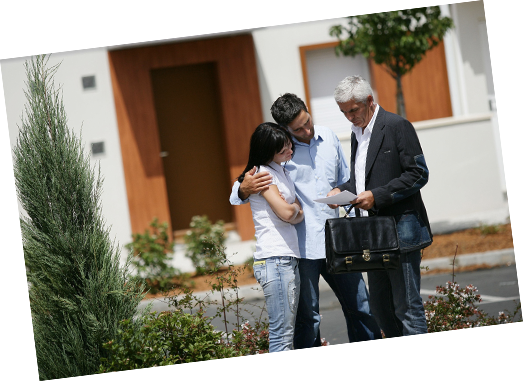 The best advantage to keep in mind is that unlike traditional agent services, with flat fee listing, if you find an unrepresented buyer (buer who does not have an agent helping them) you pay no closing commission at all! A common fear people have about the flat fee listing model is that somehow a full service agent will bring them more exposure or more buyer prospects and that by listing with a flat rate broker, they will lose out on buyer leads. 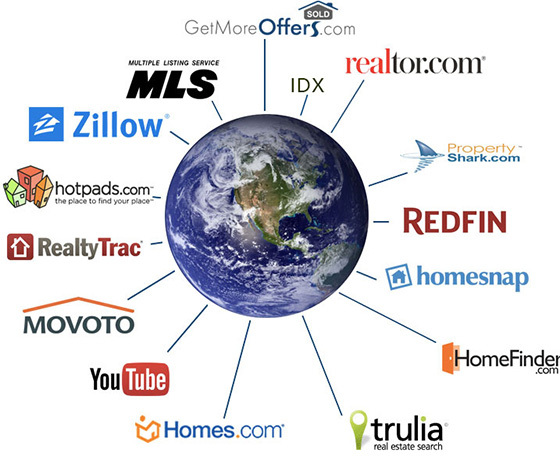 This is the story full service agents tell you to get your listing! The truth is that no matter what type of property you have, when you are listed by us, your property will enjoy the exact same exposure as it would with a traditional agent. 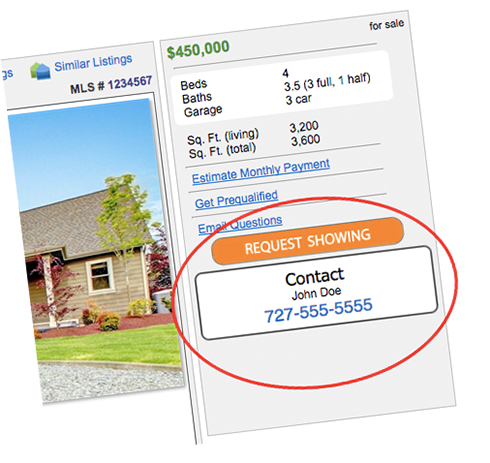 This is because all MLS systems have a built-in feature that allows users to automatically populate listings out to 3rd party sites such as Zillow, Trulia, Realtor.com and 100's more by owner sites. 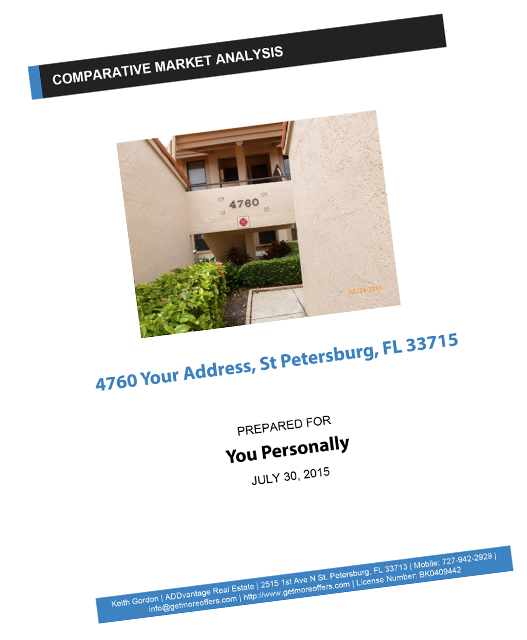 We have been listing homes, condos and vacant land since 2005 and actually promot your lsiting better than most others because we hold additional memberships to sites like Homes.com and through our technology and resources, we also market your property via social media channels. 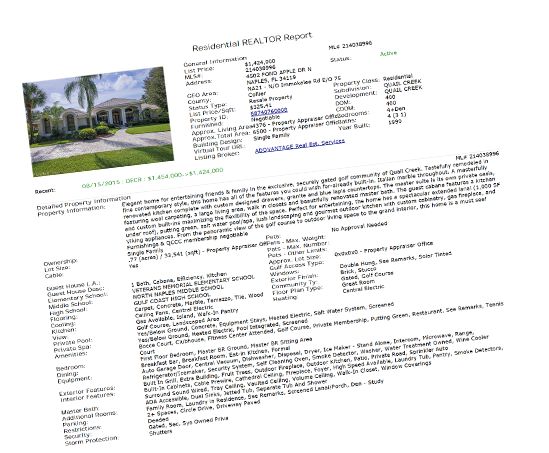 The only way to have access to an acual Multiple Listing Service is to be a Realtor. 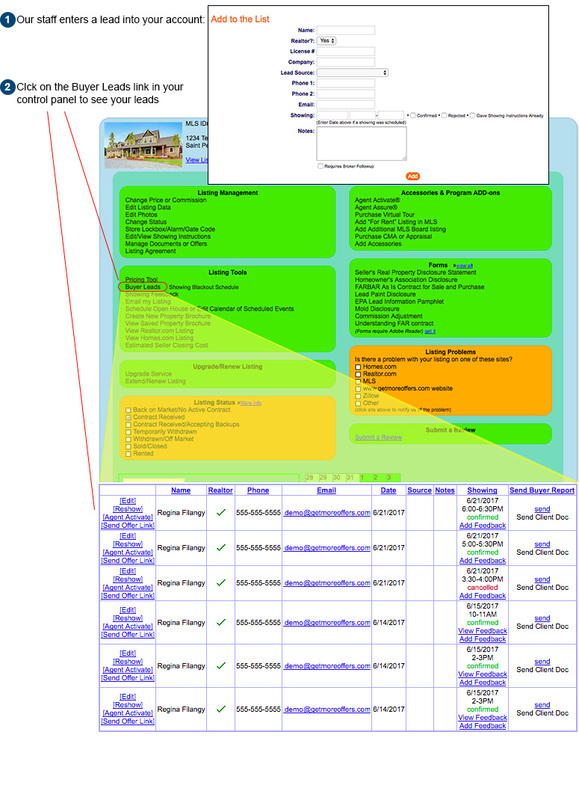 When you search the internet and look at the MLS listings, you are actually viewing an abbreviated view of this data that has been allowed to be displayed from the actual MLS database for public use. You will not see internal data that only the agents see, such as commission amounts. Our approved real estate broker for your area is a Realtor member of the MLS. When listing with a flat fee program, you are doing so as a "self-represented seller" and our designated broker acts on your behalf in the capacity of what's called a "non-rep" agent. Your flat fee MLS lsiting agreement will clearly state the responsibilities of both you and the broker who is listing your property in the MLS. 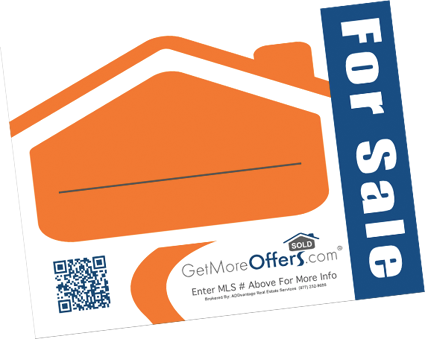 For Sale By Owner Listing - Get your listing exposure but without going into the MLS. 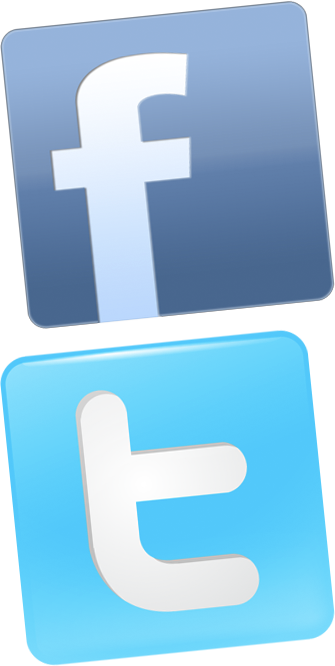 We have two FSBO programs to accommodate you.